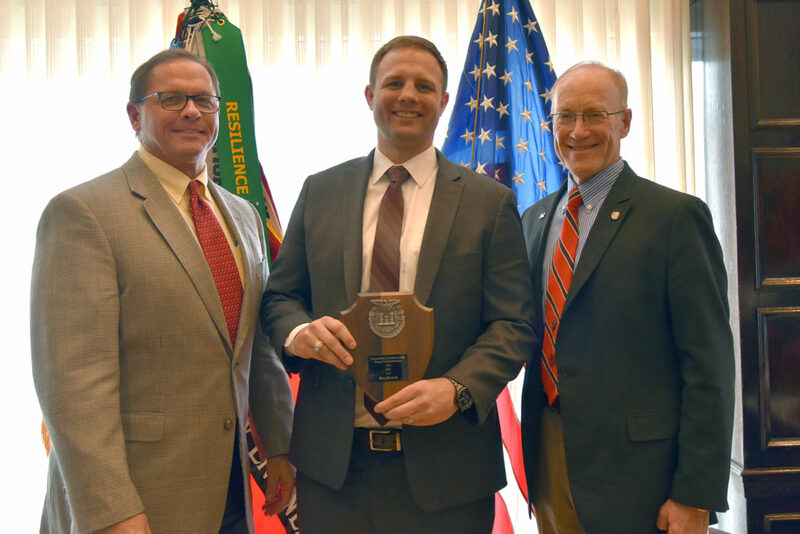 We are pleased to announce that the Awards & Recognition Committee of the Washington DC Post of the Society of Military Engineers (SAME) has selected Harkins Project Executive Ben Nichols to receive the award for Outstanding Contributions by a Young Civilian Member. The awards and recognition program was started in the 1990s to recognize members and their contributions to SAME and the industry. Ben began his involvement with SAME in 2009 by regularly attending events. In 2016, he was appointed to the Board of Directors as the program director for the Mid-Maryland Post. During this time, he helped to develop and execute the annual program schedule for members. As a result of his leadership with the Mid-Maryland Post, Ben participated in the 2018 Leadership and Mentoring Program, hosted by the Washington DC and Northern Virginia Posts. During this year-long program, he was one of ten participants who met with leaders and government representatives in the industry. The program focused on best leadership practices and top management principles. A ceremony to present this award was held on January 17, 2019 at the National Press Club in Washington, DC. Ben was joined by colleagues in support of receiving the prestigious award. Harkins Senior Vice President Jim Thompson and Executive Director of SAME Joseph Schroedel with Project Executive Ben Nichols and his award.